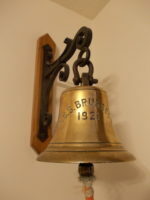 Harwich is primarily known for its ferry links to the Continent and it is a key embarkation point for those travelling across the North Sea to Holland or joining cruises at Harwich International Port. It is however, worthy of a visit in itself as the historic old seaport, only a five minute drive beyond the ferry terminal, is regarded as Essex’s hidden jewel. The winding streets and intersecting lanes, built on the medieval grid pattern, retain many listed buildings and sites of key historic significance and a stroll around quickly reveals its centuries old charm and atmosphere. 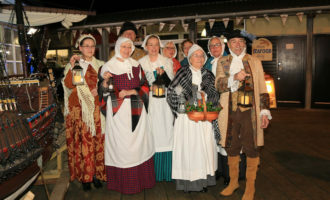 Whether you wish to enjoy a drink in one of the ancient taverns, some dating from Elizabethan times, or relax over a meal as large liners and tiny fishing boats pass by, there is something for everyone in Historic Harwich. A 17th century wheel crane still stands on Harwich Green and two 18th century lighthouses contain museums. A remarkable Napoleonic fort is built into the hill overlooking the town and commands magnificent views over Harwich Harbour and out into the North Sea. Elizabeth I and Charles II during its 800 year history. Only a few minutes away is the seaside resort of Dovercourt Bay which boasts a European Blue Flag beach and is set in a large sweeping bay offering safe bathing and sailing. You will also find the putting green in Low Road, Dovercourt! A long awaited skatepark has now had it’s official launch with an opening jam. The day included competitions, demonstrations and many prizes! The free event, hosted by Harwich Town Council (HTC), kicked off from 12pm on Saturday 14th April 2018 at the site next to Dovercourt Swimming Pool and ran until 4pm, and it included professional demonstrations and an MC. Local organisations supporting the event include, Home Start, Teen Talk, Police and Fire Cadets, St Johns Ambulance, the Ark Family Resource Centre, as well as main contractors Maverick, who have designed and constructed the new Skatepark. Several years ago a group of skateboarders asked HTC to refurbish the site which they claimed was dangerous in the winter or when the metal ramps became slippery after it has been raining. HTC has put £100,000 towards the project with the remaining funding secured by partners including Tendring District Council, Tesco Bags of Help, Police Fire Crime Commissioner for Essex (PFCC), Essex County Council and Lottery Funded Sport England. The Council was granted planning permission for a major overhaul on the existing skate park site off Lower Marine Parade last August and building work started in earnest in September. In addition there is now a new youth shelter for patrons to use! You can see a video of the event below! In between is Dovercourt Town Centre which offers a range of shops, cafes and restaurants in a charming Victorian setting. Five minutes further on and you may stand on Dovercourt Green which was the location of a settlement recorded in the Domesday Book and which is the setting for All Saints Church in whose graveyard is the final resting place of Captain Charles Fryatt, the master of the SS Brussels which attempted to ram a German U Boat during World War I, an act for which Captain Fryatt was arrested and executed by firing squad. At the end of World War I only three sets of remains were repatriated to the UK and these were the Unknown Soldier who lies in Westminster Abbey, Nurse Edith Cavell who lies in Norwich Cathedral and Captain Charles Fryatt who lies in the graveyard of Dovercourt’s All Saints Church. All of this is within a 5 minute drive of Harwich International Port proving that there is far more to the area than meets the eye. 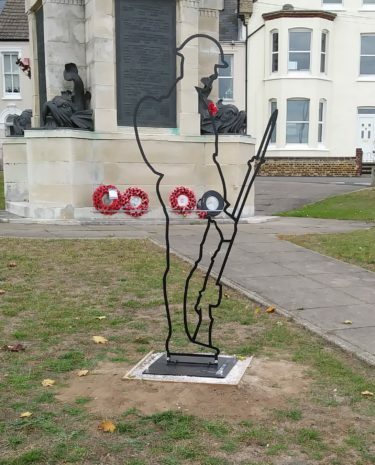 Two ‘Tommies’ have been erected by Harwich Town Council as a permanent memorial to the centenary of World War I. 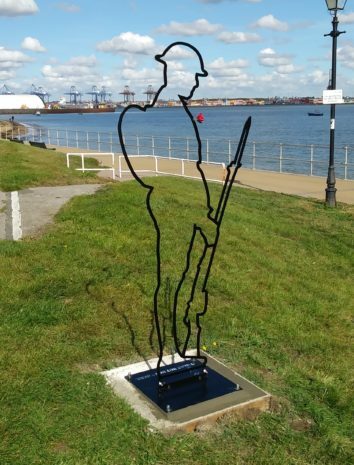 ‘Tommies’ have been designed and produced by the Royal British Legion in order to allow the installation of memorials around the country to mark the centenary of World War I and Harwich Town Council decided to erect two, one in Harwich and one in Dovercourt, to commemorate the centenary within our town. Due to the bad weather of late the ‘Tommies’ have been removed from the original sites ready for relocation. The new positions will be published here when the work has been completed. Harwich and Dovercourt is more than the starting point of a continental journey.